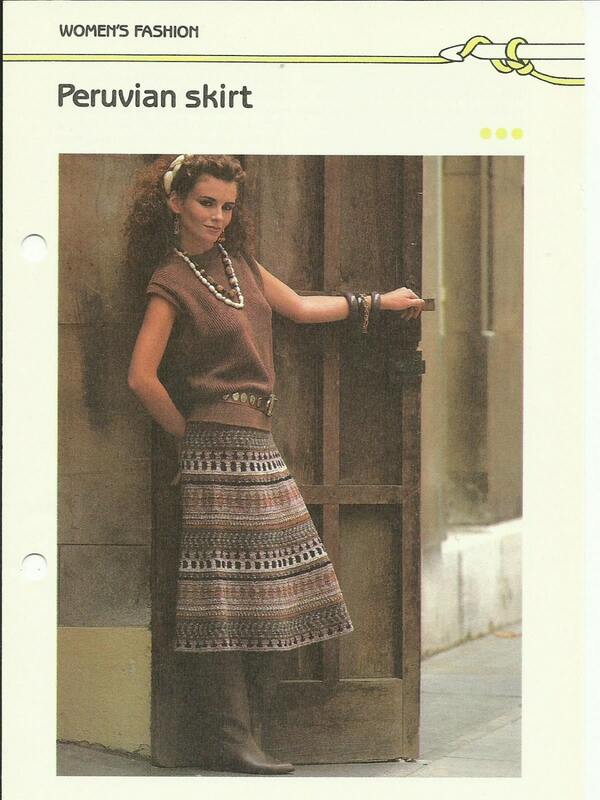 This lovely Peruvian skirt is crocheted using six different colors in subtle shades. This is a digital pattern download - you receive a FULL COLOR pdf ! This pattern is from the Golden Quick and Easy crochet series (1980s), and it is marked INTERMEDIATE in their pattern ranking system. The pattern includes a full color grid that shows how to make the design. Sizes for waists 32" through 38" are included in the instructions. The length of the finished skirt is approximately 28".